Microsoft’s newest Office program Sway, which was released late last year and is already available for iPhone, in addition to the Web for PC or Mac access, has today been released for iPad, as an update to the Sway app for iPhone. The updated app makes it easier than before to add pictures, videos and text to your Sway, while previewing is now also smarter with option to quickly switch between Edit and Preview. Today we’re also excited to announce that Sway for iPad is now available, as is an updated version of Sway for iPhone. Sway for iPad is optimized for the larger screen. It allows you to create, view and share Sways in landscape and portrait mode and also includes a few additional capabilities, such as the Remix! button for quickly trying out different layouts and styles. 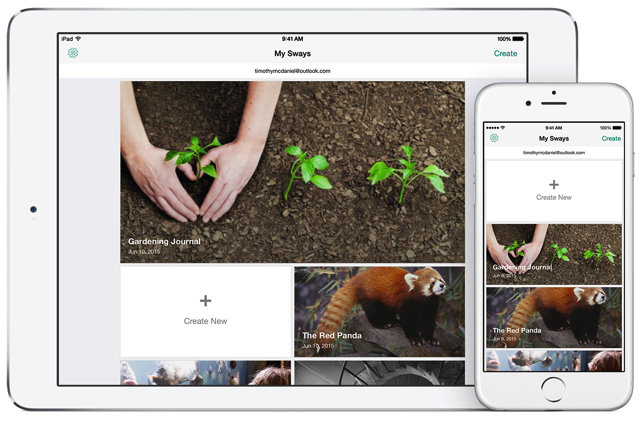 Now is a perfect time to download or update Sway for iPhone and iPad from the App Store today! With today’s releases, Sway for iPhone and iPad now support six more languages, for both consumers and Office 365 business and education users. Users can now use the Sway interface in Dutch, French, German, Italian, Japanese, Portuguese and Spanish (in addition to English). 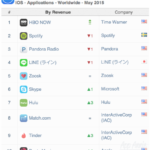 Meanwhile, the company has also announced that a Windows 10 version of the app will be released on July 29.